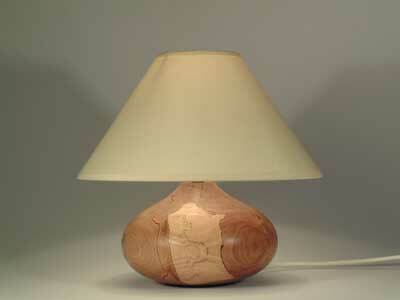 I make wooden table lamps out of solid timber, hollowing out the middle from underneath to allow the wood to dry thoroughly before finish turning and sanding. 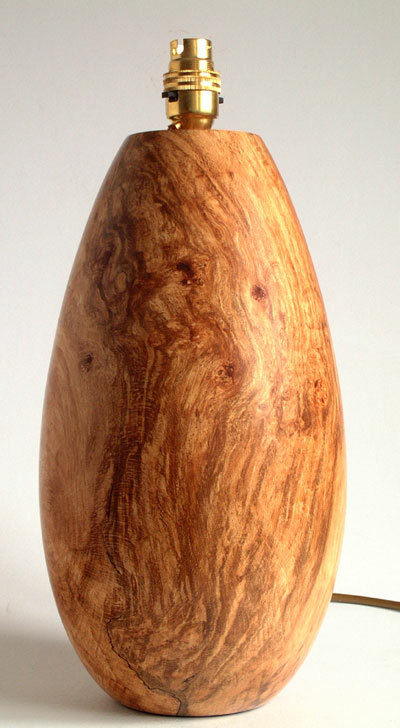 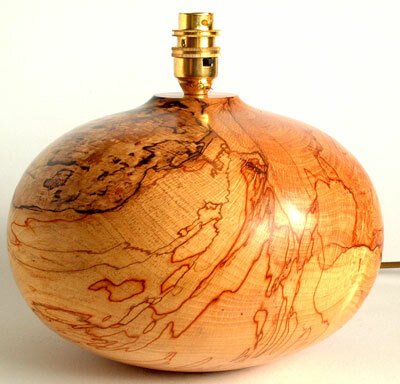 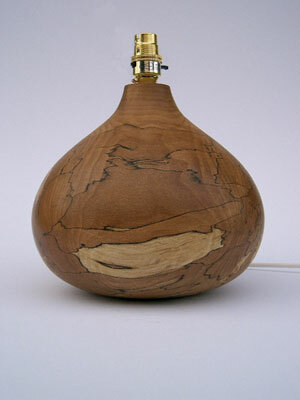 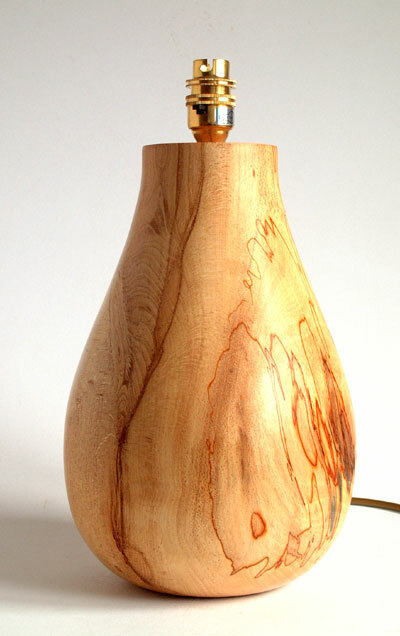 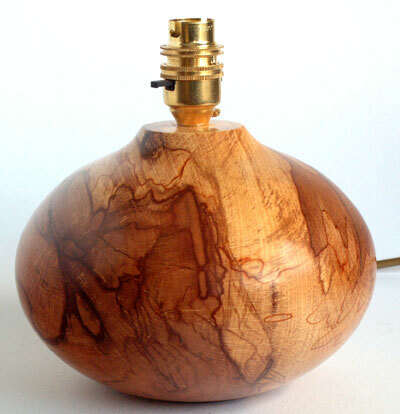 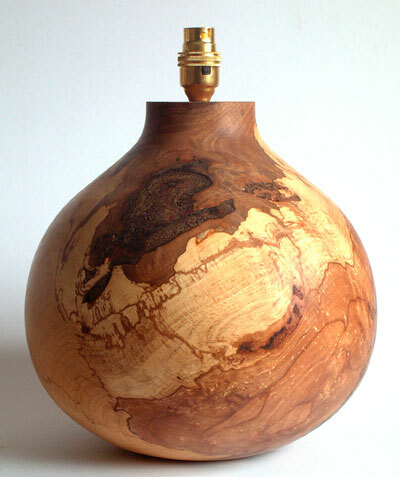 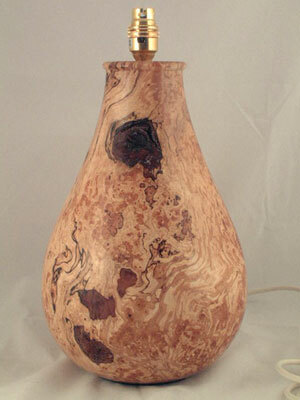 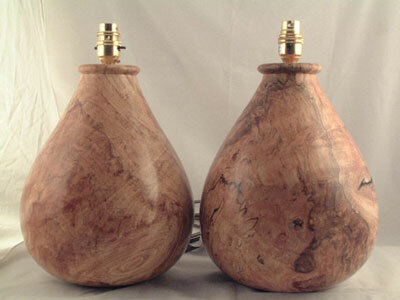 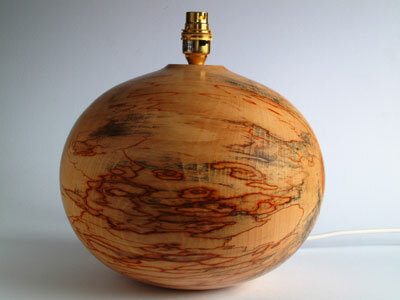 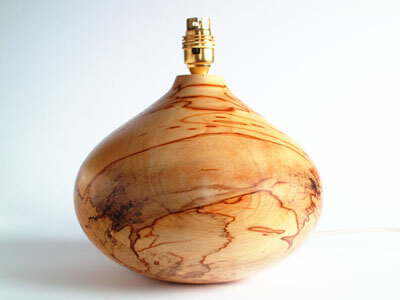 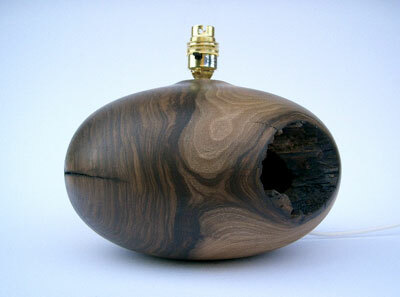 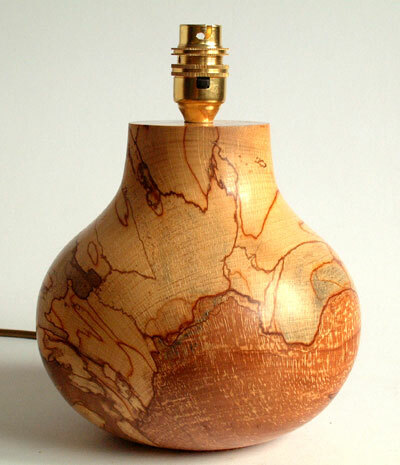 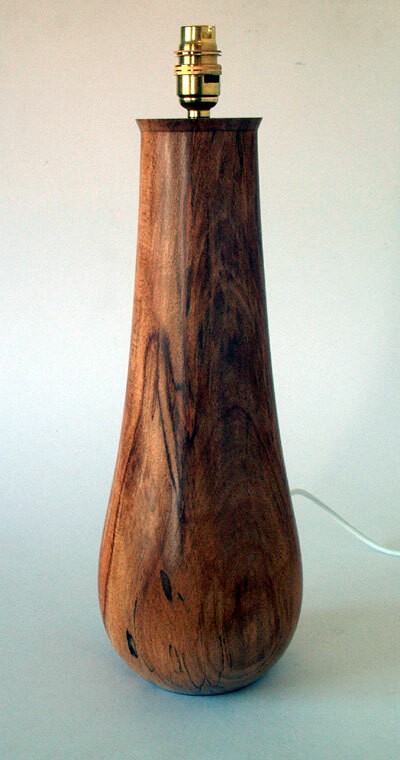 I also make wooden bedside lamps, usually in pairs; some examples are shown below. 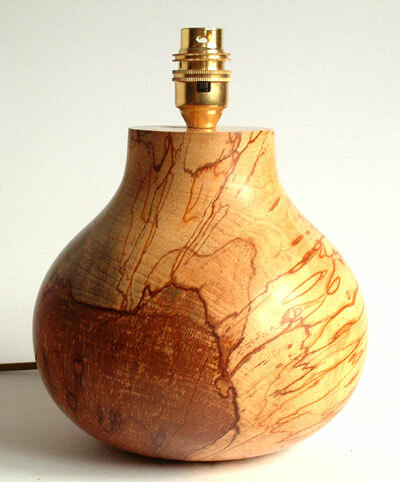 The table lamps are given a durable oil finish. 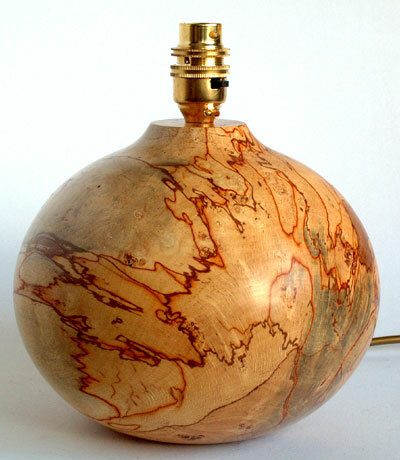 All my table lamps have quality brass fittings, 2.5m electrical leads and a 3pin plug with 3amp fuse. 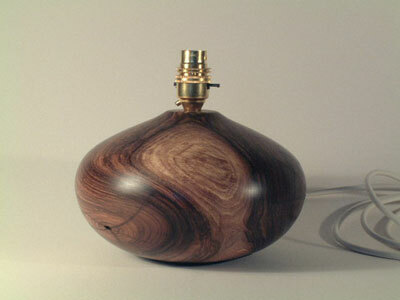 They carry a CE label and are tested using a Martindale EasyPat portable appliance tester. 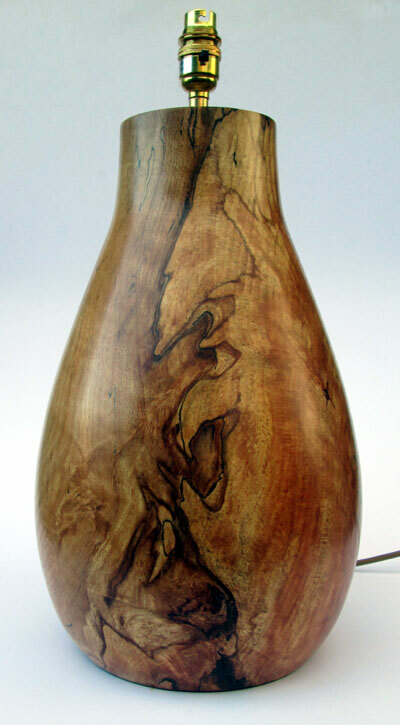 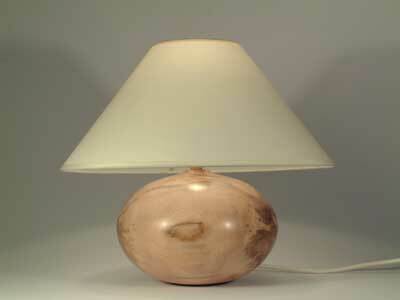 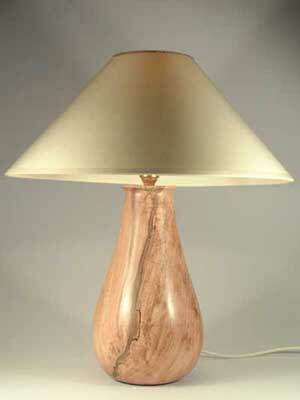 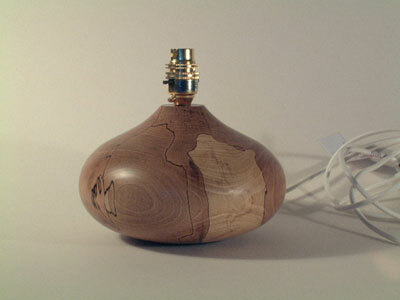 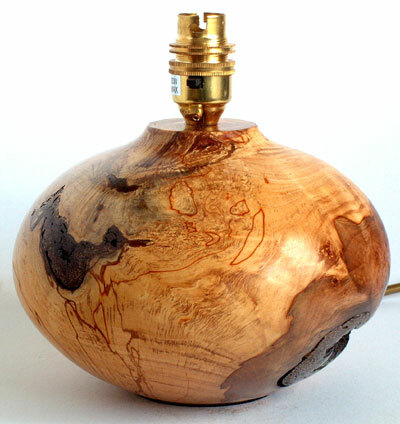 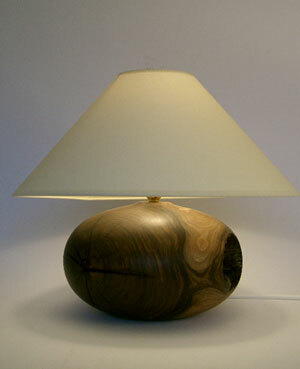 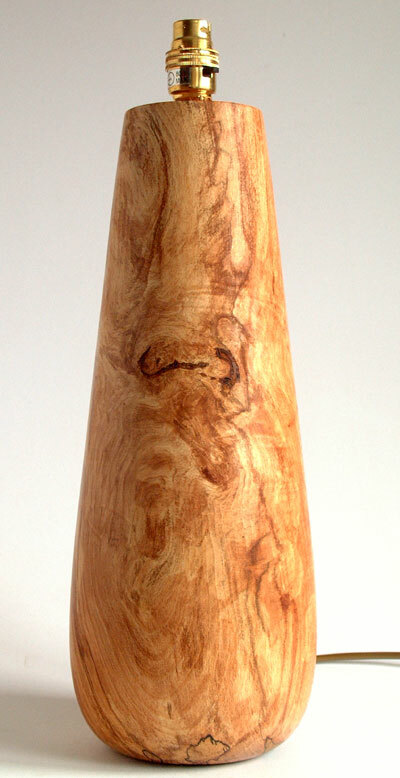 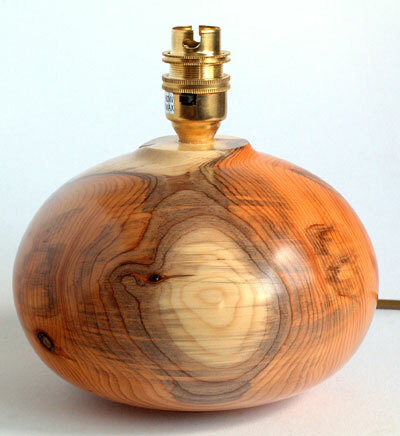 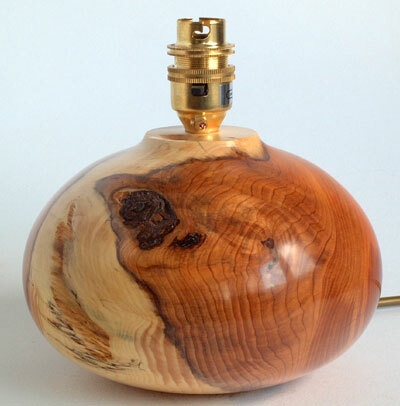 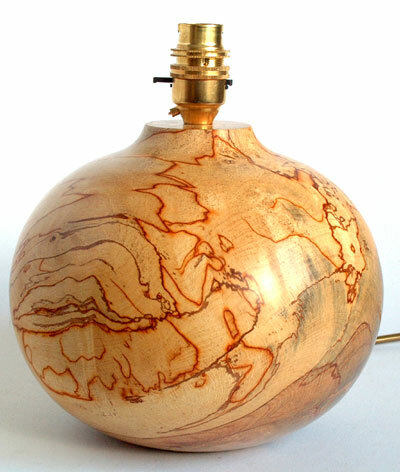 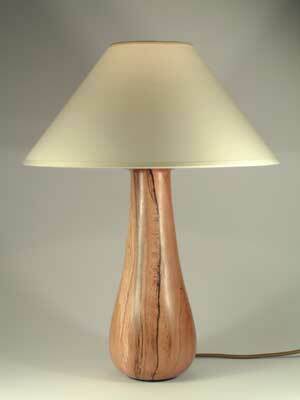 Wood table lamp prices range from £55 to £200 depending on the size and the timber used. 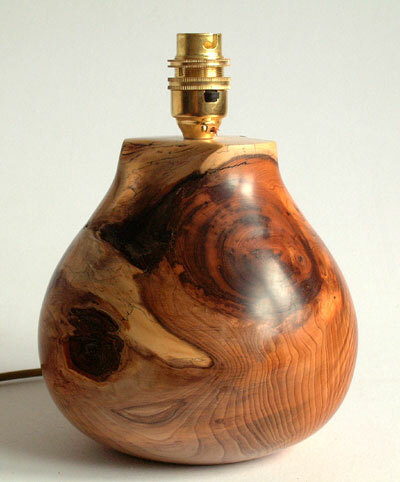 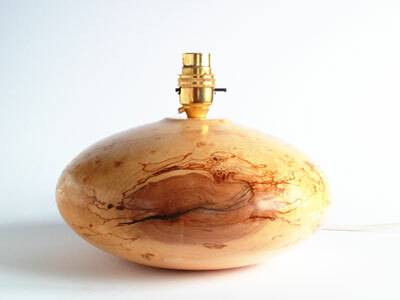 I make many wooden table lamps and bedside lamps to commission so if you cannot find what you are looking for contact me and I will send you a quotation. 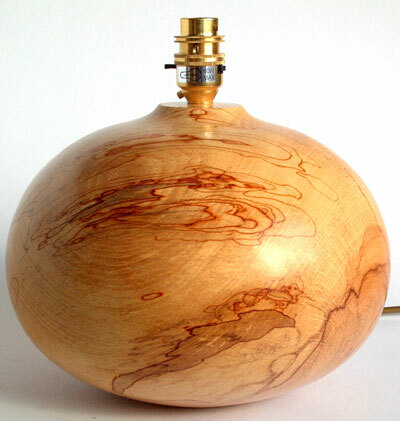 Measurements are diameter x height in cm.